One of Canada’s darker wartime legacies from the Great War is the systematic establishment of internment camps for so-called “enemy aliens”. As in the Second World War, the idea of immigrants from countries with whom Canada was at war serving as enemy spies and saboteurs raised fear among the general population. In fact, initially the burning of the Canadian Parliament buildings in 1916 was blamed on German saboteurs within the country. The population targeted in the First World War were those whose citizenship made them suspect, in this case German and Austro-Hungarian nationals and individuals who lived in the parts of Eastern Europe controlled by those two empires, including parts of Ukraine, modern Poland and the modern Czech Republic. The War Measures Act, an emergency legislation giving sweeping powers to the government, was enacted at the beginning of the war in 1914 and not lifted until 1920; this meant that individuals could be detained without release and their property confiscated if it was suspected that they were enemy aliens. During this period, over 8 000 people were arrested and detained in internment camps across the country, the majority of whom were Ukrainians and other Eastern Europeans. 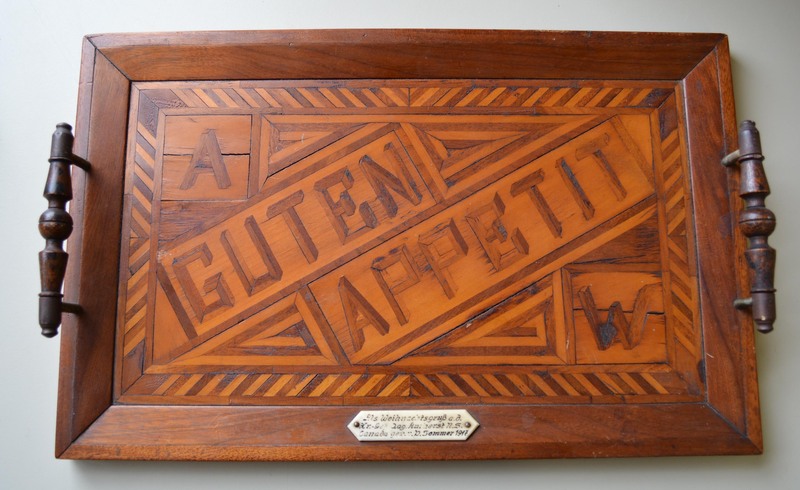 The wooden tray shown above was hand made by a German-speaking prisoner held in Amherst internment camp in 1917. Amherst was one of 24 camps across Canada, and one of three in Nova Scotia. Located in an old iron foundry, the camp held upwards of 800 prisoners, most of where captured German sailors and German workers trapped in the country after the start of the war. Amherst was one of the only camps holding strictly Germans, most of the rest of the Canadian camps interned Eastern Europeans, most of whom worked in mines, logging or other labour tasks. The most famous internee of Amherst was the Russian Communist Leon Trotsky, who had decided to return to Russia from exile in New York after the Russian Revolution in March 1917. While the Bolsheviks were not yet in power, Trotsky saw an opportunity to return, and so set sail with his wife and children on the SS Kristianiafjord in late March. The ship docked in Halifax and was inspected by naval officers as was usually done; according to Trotsky’s narrative of the event those of Russian origin were closely questioned about their political loyalties and after refusing to confirm his, he was arrested as a “dangerous socialist” and imprisoned in the Halifax Citadel. Trotsky was later moved to Amherst Camp, where he spent a month speaking to the other prisoners about socialism and the continuing revolution in Russia. His wife and children stayed in a hotel near the camp; Trotsky alleged that the Canadian police had originally attempted to send his children to a children’s home, after protests from his wife the family was put under supervision and later allowed to stay near him. After considerable diplomatic wrangling, Trotksy and his family were freed at the end of April 1917 and allowed to continue to Russia, where Trotsky would become a leading figure in the Bolshevik coup of October 1917. Amherst Camp was shut down in 1919 after the end of the war and the site later became home to a concrete company. Amherst Camp, and others like it, was marked with commemorative plaques by the Ukrainian Civil Liberties Society in 2014. The Society has been instrumental in the fight by members of the Ukrainian community for recognition of their treatment in Canada during the Great War. Where were the other camps in Nova Scotia? Thanks for your question Frank. 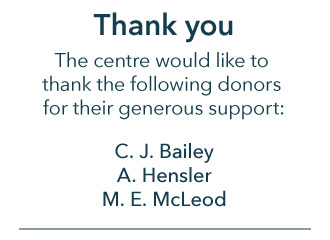 The other two camps in NS were at Melville Island and Citadel Hill. There was an additional camp in Cape Breton that held Ukrainians who worked in the coal mines there. Is there any resource for finding out which camp a particular German POW in WW 1 was kept at? I know he was in Nova Scotia. His POW record from the ICRC say “Co. D.” I’m not sure if that’s a code, or if it’s at all helpful information. I’m doing some geneology research and would appreciate any information. Hi Kay, you can check the federal government’s internment records at Library and Archives Canada. They are by no means complete, but you can find some lists of names, release orders and other information. The primarily German camp was at Amherst; these were mostly merchant marine sailors. 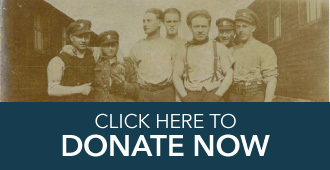 There were no combattant German POWs kept in Canada during WWI, most were in Britain. Internees were generally non-naturalised citizens of enemy states or like the merchant sailors, considered potential enemy combattants. Good luck!